Savor a suite of sweet and salty shalach manos snacks. (Try saying that three times fast!) 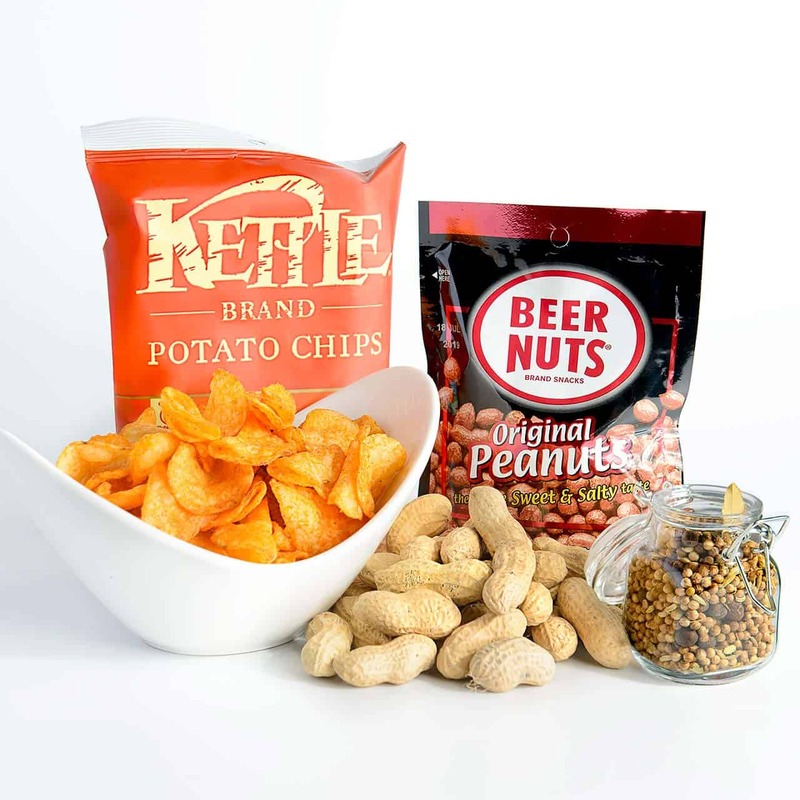 Enjoy tangy kosher dill pickles, Kettle brand barbecue potato chips, classic Beer Nuts, and good old peanuts in the shell, all delivered in a hand-crafted, high-quality Purim pickling barrel. 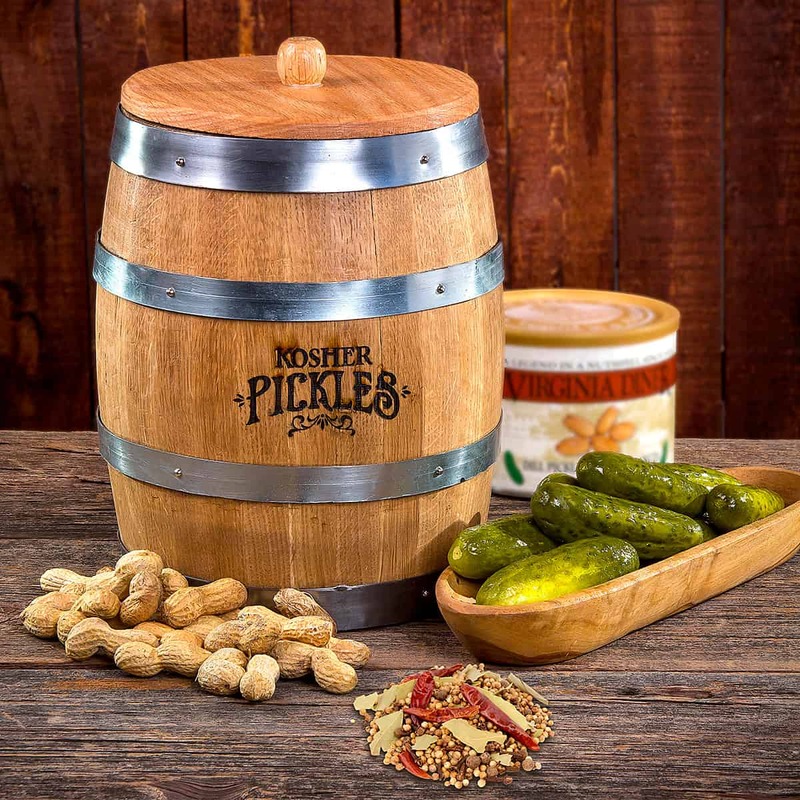 Our working wooden pickle barrel comes complete with pickling spices, ready for you to pickle a peck of peppers on Purim. Purim Pickle Barrel is made of oak, and measures 10″ tall and 8″ in diameter. It includes a cleaning/sterilization kit with instructions, and 4 pickling recipes. All gifts are shipped close to the holiday. All contents are individually packaged for freshness.